Fulfilling humankind’s urgent need for cuddly stuffed bears in the marmalade-sweet wake of ‘Paddington 2’, Disney’s live-action-animation hybrid ‘Christopher Robin’ – starring the honey-loving Pooh – is big-hearted yet unexciting. While the newly imagined adventures of the grown-up Christopher (Ewan McGregor, a long way from ‘Trainspotting’) and his amiable childhood pals from Hundred Acre Wood place journeyman director Marc Forster straight back into enchanting ‘Finding Neverland territory, this mid-20th-century tale doesn’t quite summon the same magical, childlike wonder. Still, there is ample sweetness here for especially young kids and enough nostalgia for adult devotees of A. A. Milne’s beloved stories. Channeling ‘Hook’s workaholic ex-Peter Pan, Christopher unhappily cancels his countryside travel plans with his loving wife Evelyn (Hayley Atwell) and precocious daughter Madeline (Bronte Carmichael), to toil overtime for his notoriously brutal employer, Winslow Luggage. Unexpectedly reuniting with the ever-hungry Winnie and the rest of the lovable clan over a weekend (sarcastically gloomy Eeyore, enthusiastic Tigger and the fearful Piglet, among them), Christopher remembers life’s simple pleasures and rekindles his youthful spirit. He learns an especially important lesson about family when Madeline teams up with the loyal critters to save her dad’s job by delivering him a misplaced briefcase. Startlingly basic for a film jointly written by team that includes brainy indie auteur Alex Ross Perry, ‘Spotlight’s Tom McCarthy and co-writer Allison Schroeder (‘Hidden Figures’), Christopher Robin doesn’t set up a substantial-enough conflict: Conclusive morals get force-fed into the narrative. Despite Jon Brion and Geoff Zanelli’s fairytale-esque score and Jennifer Williams’s elaborate production design that intricately details postwar London, Forster’s film feels tame in our sophisticated era of Inside Out and Toy Story 3, two superior films about parting with childhood. A well-played political message about economic equality responsibly caps off the fable, but Pooh’s luxurious yet outdated philosophy about "doing nothing to achieve something" sticks out like a heffalump in the room. Christopher Robin is a gentle yarn that will have you reaching for a tissue and cuddle, perhaps with your favourite teddy bear. A simple reminder of the child within us all, it's the perfect "Sunday Afternoon" film to watch with multiple generations. It may not win any Oscars, or have a particularly memorable plot, but I know that it made me laugh and cry. As they say...they may not remember what you said - but they will remember how you made them feel. 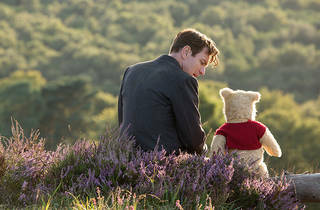 Christopher Robin made me feel hopeful, joyous and nostalgic all at once, and I can't ask for much more than that. I was really looking forward to this film. Unfortunately, it didn't quite meet expectations. 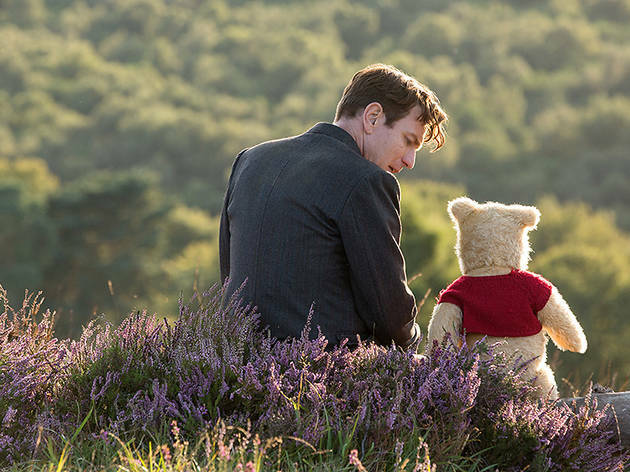 It was 'sweet' enough and Ewan McGregor was a decent enough adult Christopher Robin, but there was no thrill and not enough excitement to merit the ooohs and the aaahhhhs that should have been there. Paddington 1 and 2 takes the honey or the marmalade hands down. Sorry Poo!